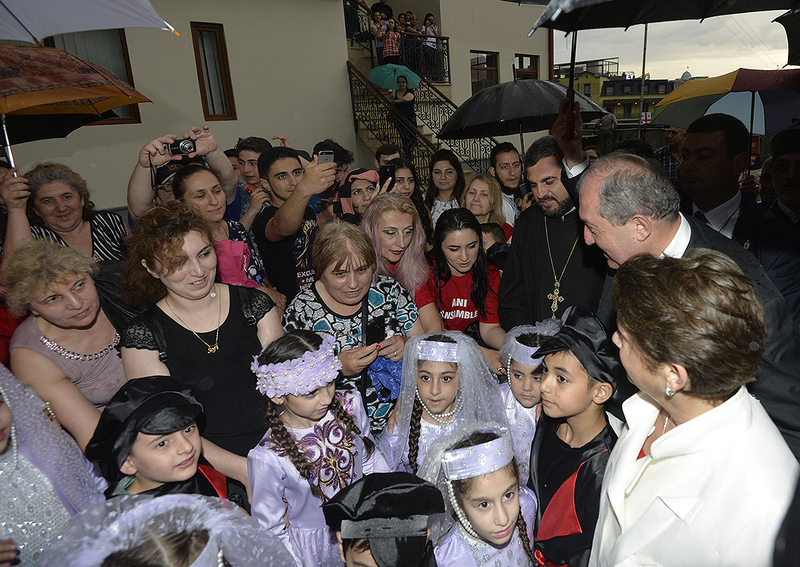 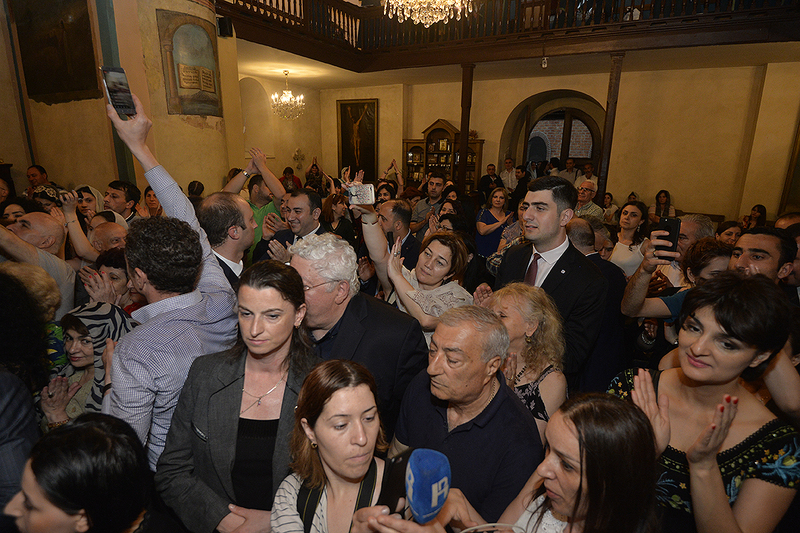 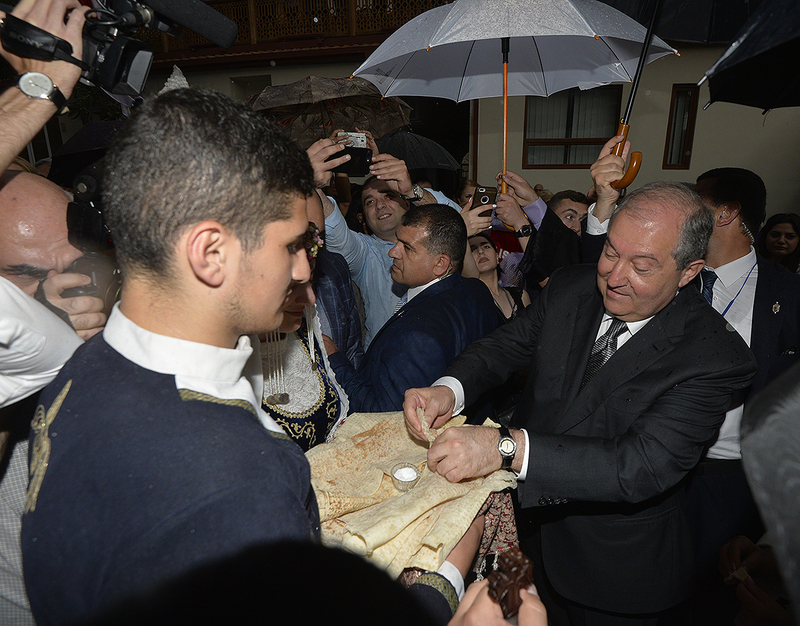 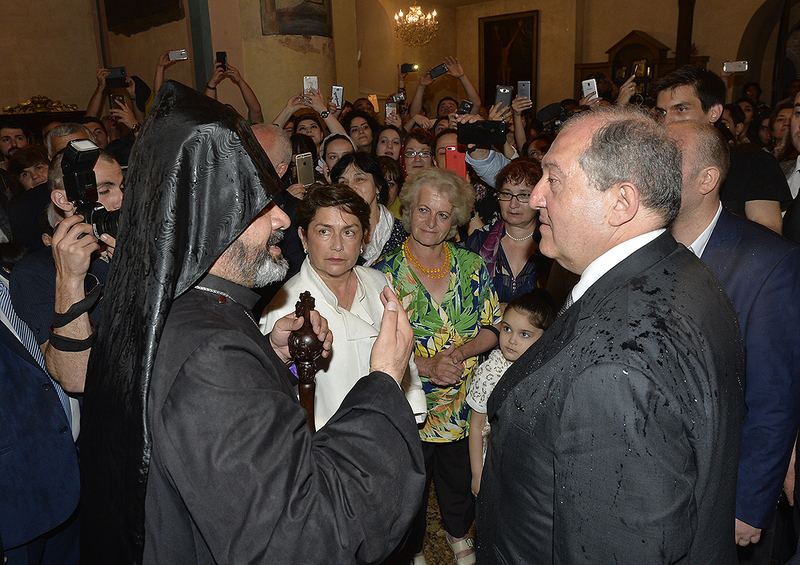 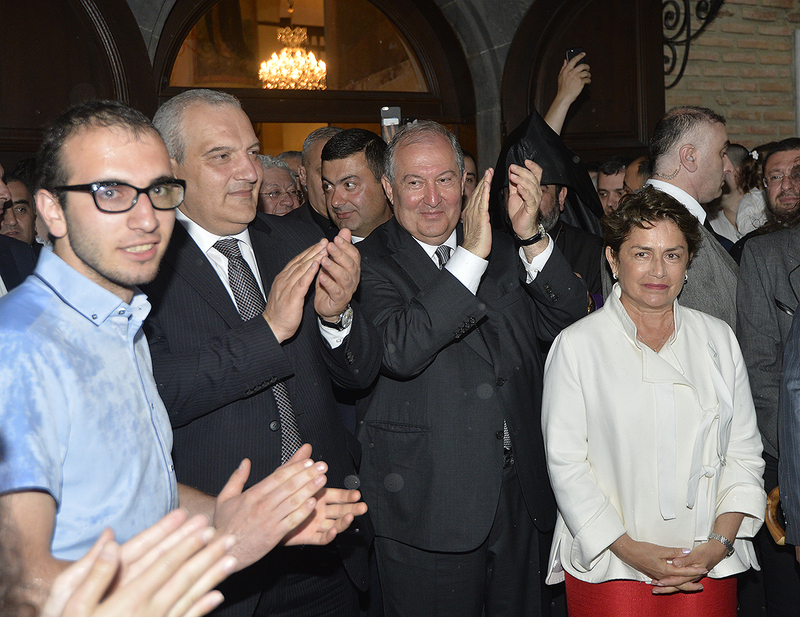 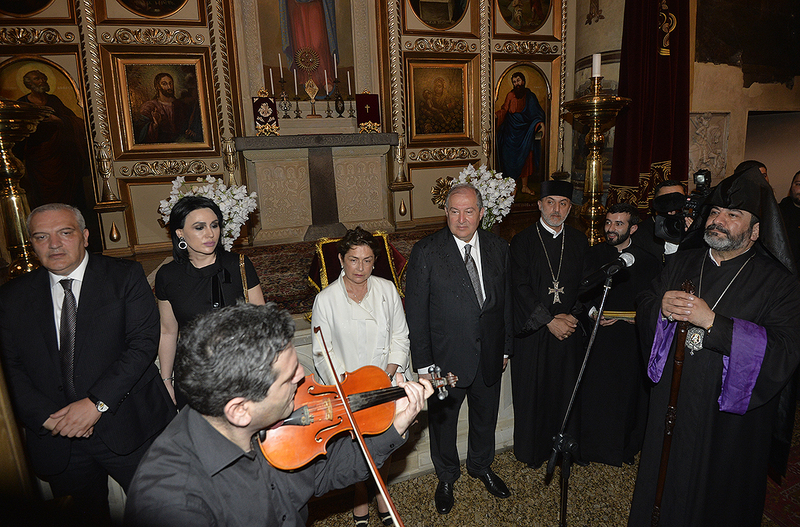 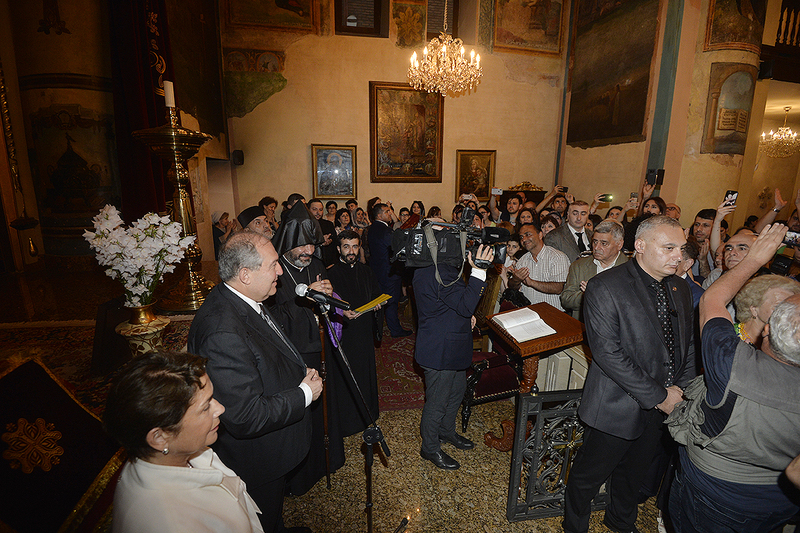 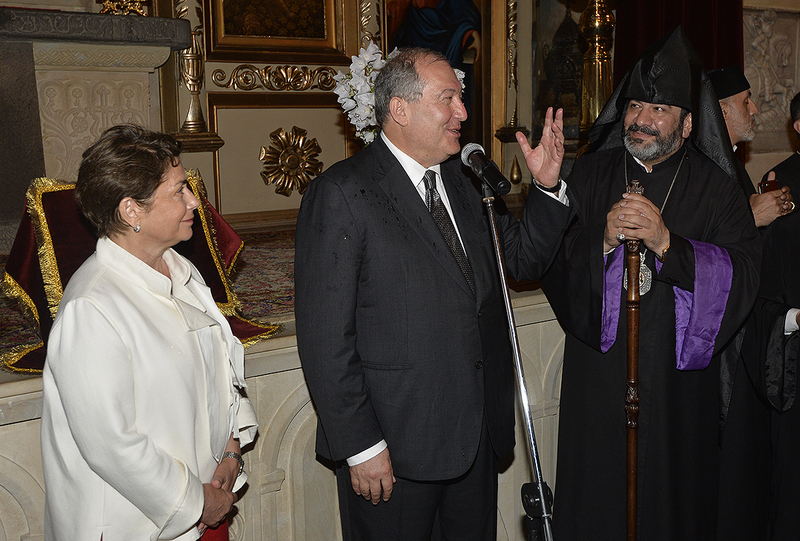 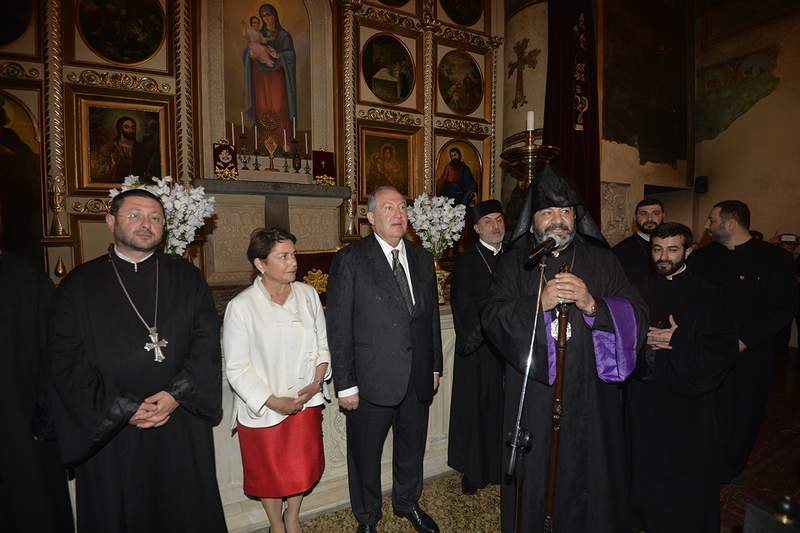 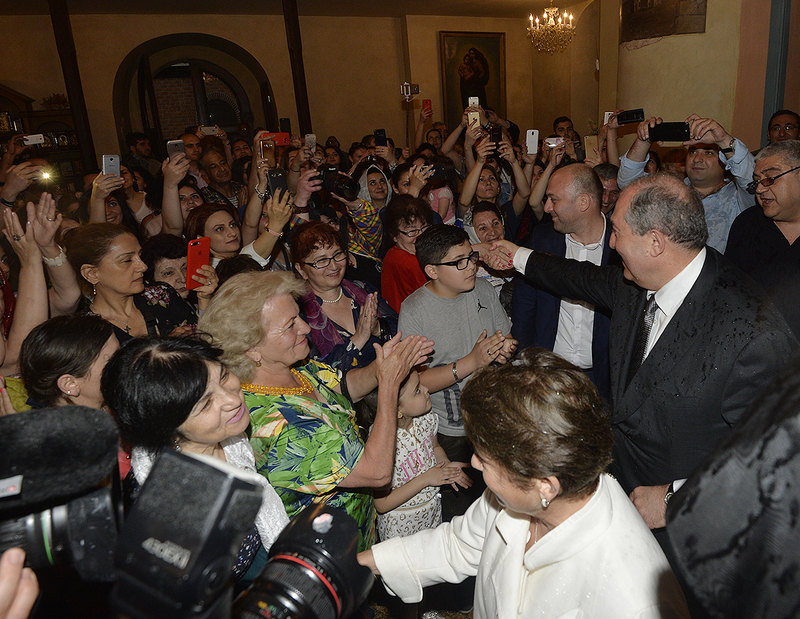 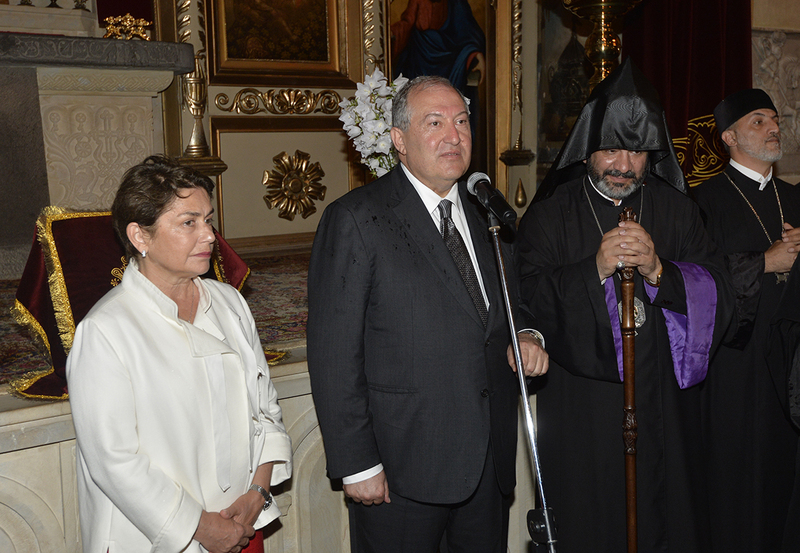 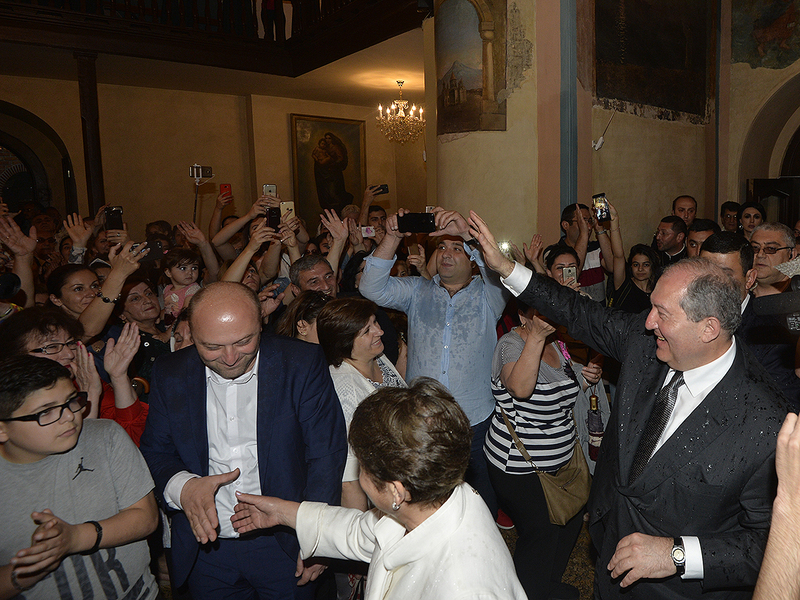 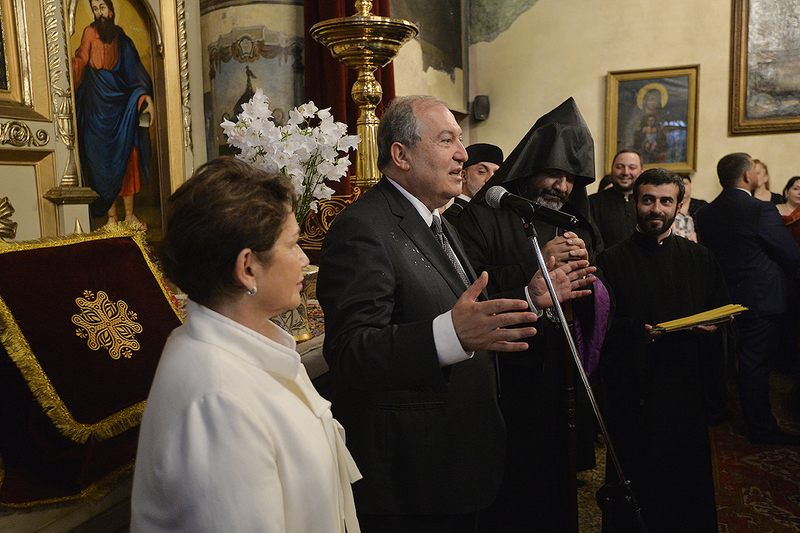 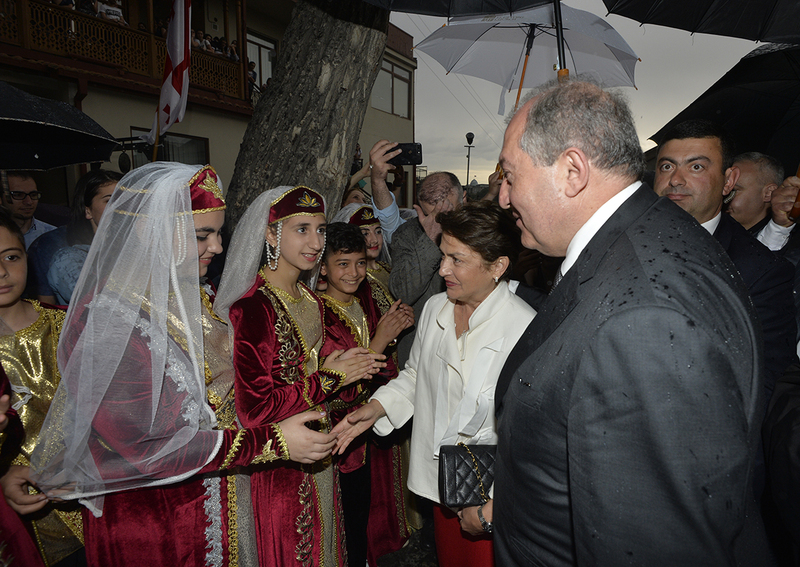 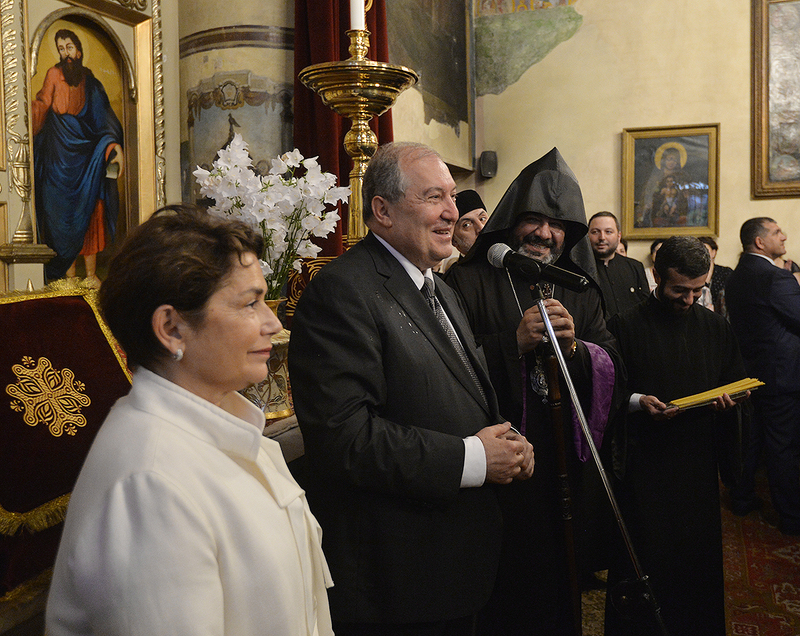 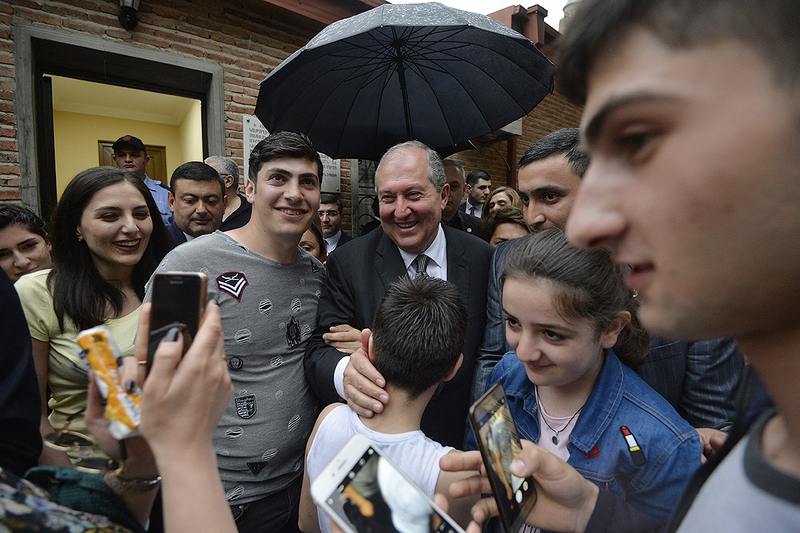 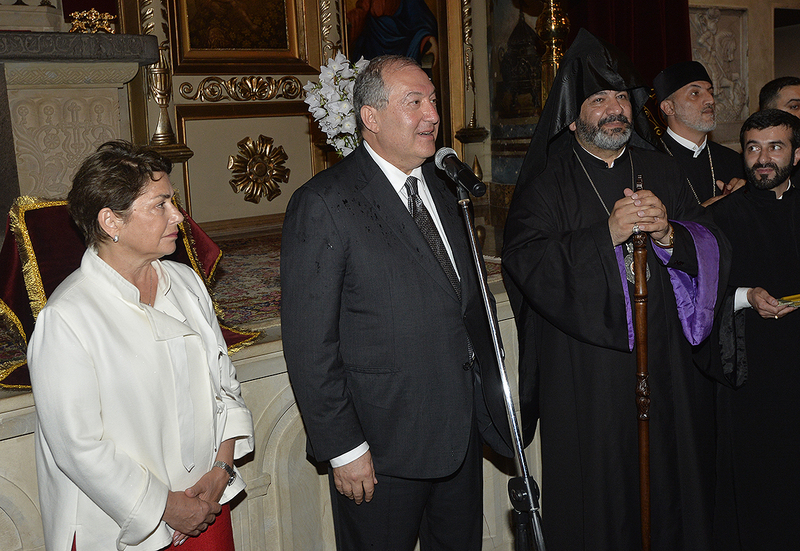 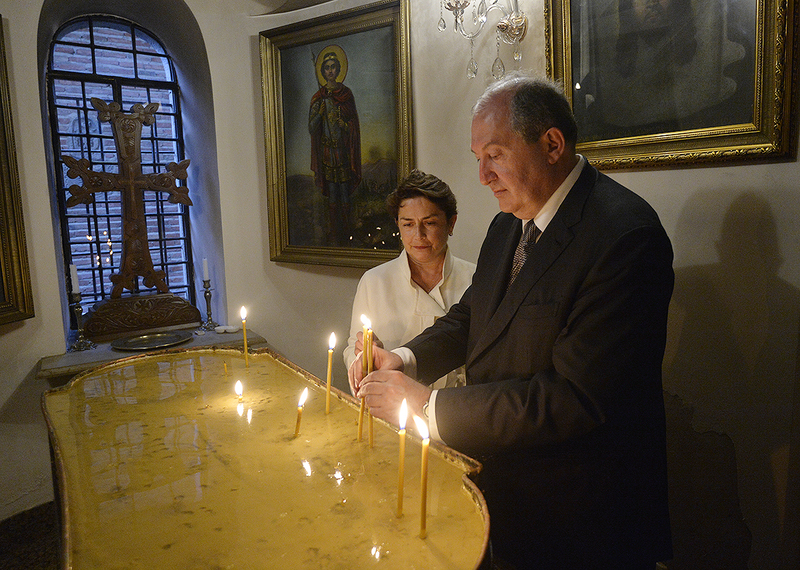 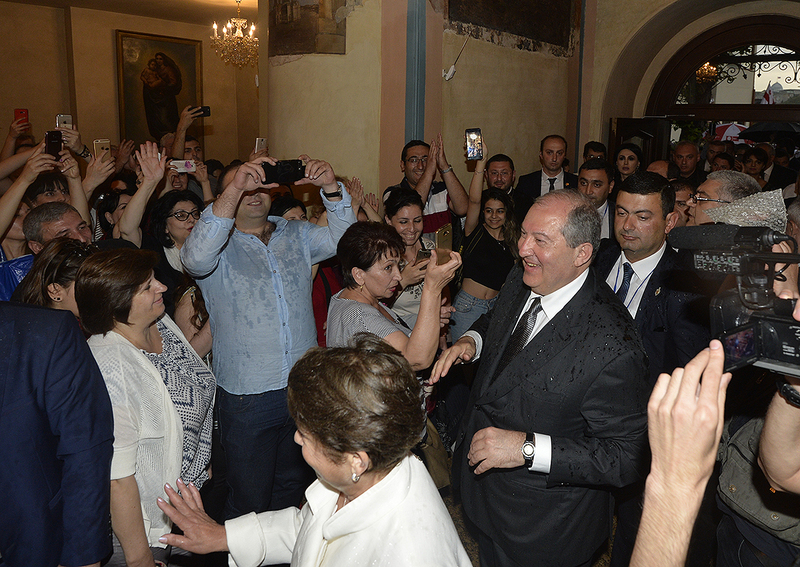 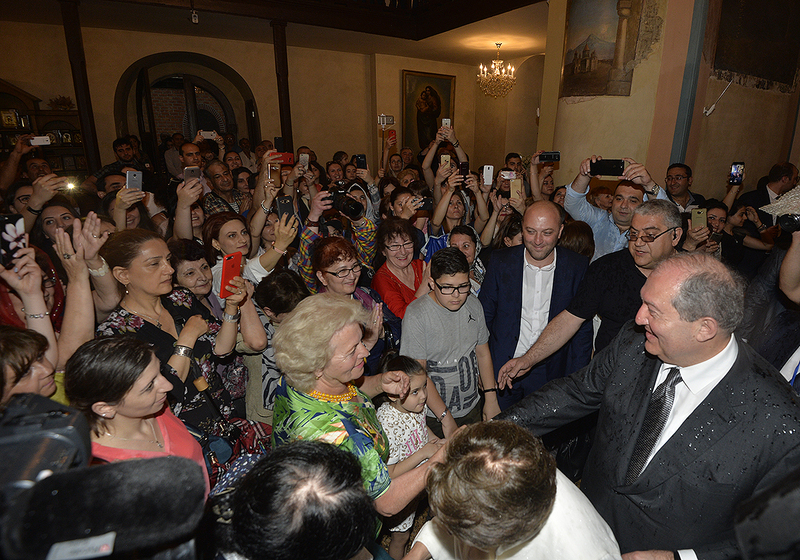 President Armen Sarkissian, who is in Tbilisi to attend celebrations dedicated to the 100th anniversary of the Frist Democratic Georgian Republic, on May 26 visited the diocese of the Armenian Church in Georgia the Saint Gevorg Church. 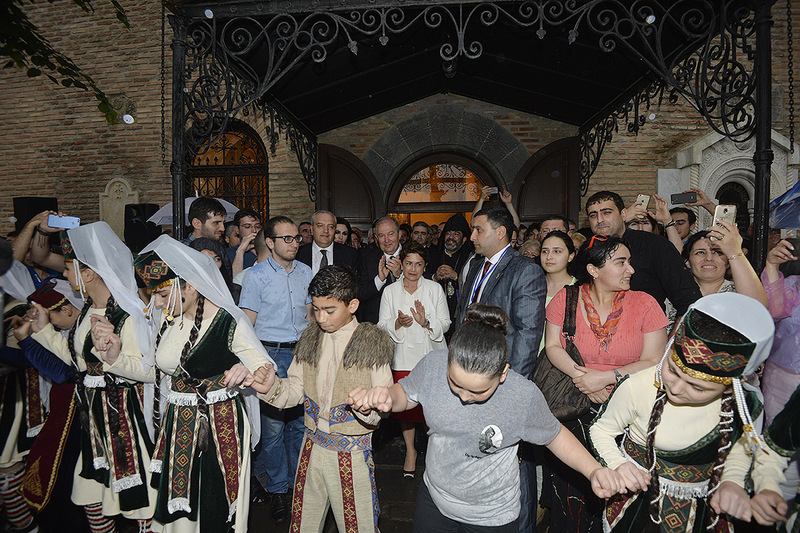 The President met also with the representatives of the Armenian community of Georgia. 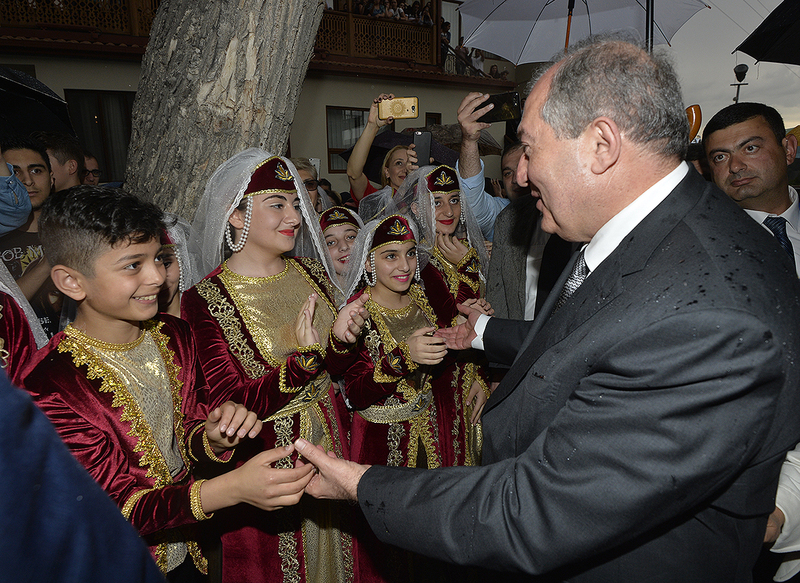 Addressing the audience, President Sarkissian said that he has arrived to Georgia as a representative of the Armenian people to congratulate our Georgian friends on the occasion of the 100th anniversary of independence. 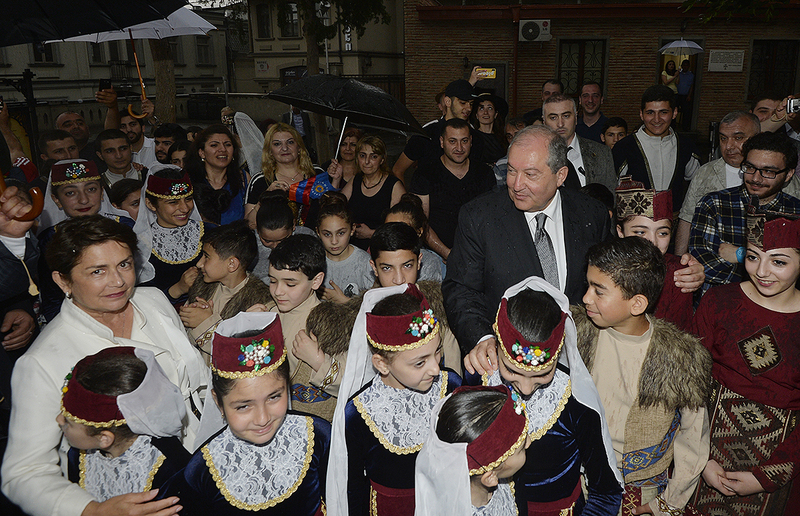 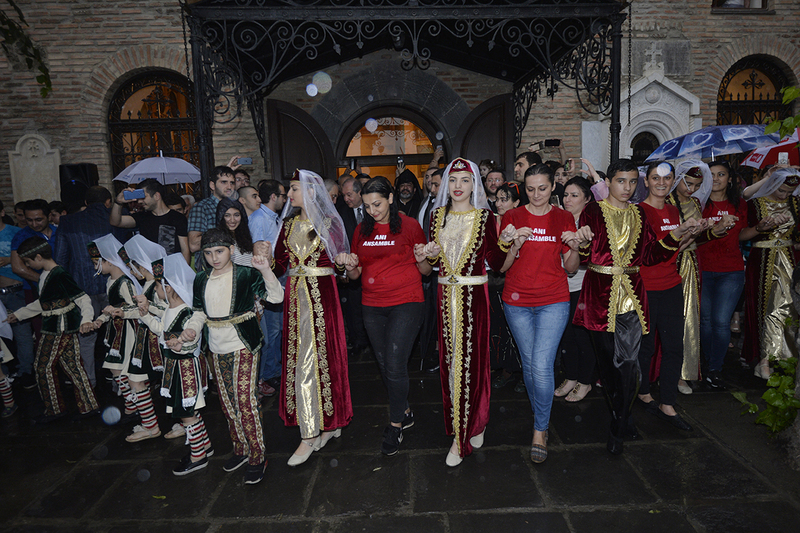 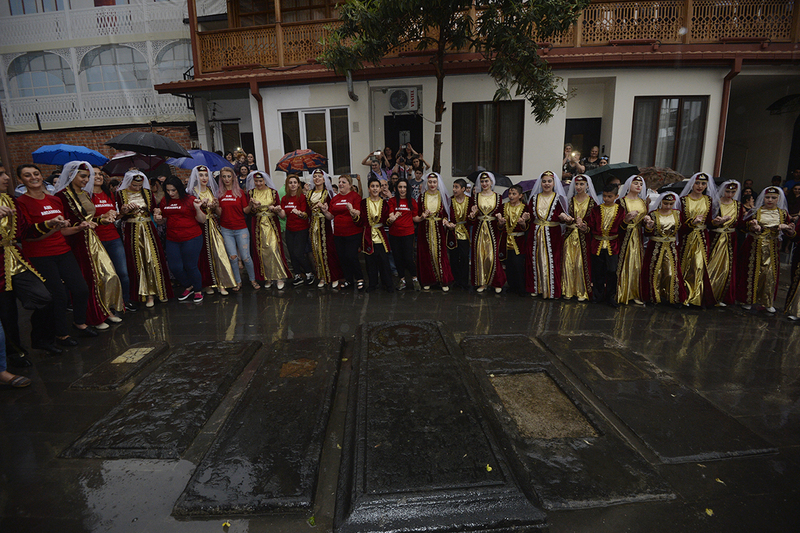 Armen Sarkissian reminded that the first government of the First Armenian Republic was created in Georgia and the Declaration of Independence was born in this town which was the cultural, spiritual and political center of the Armenian nation.